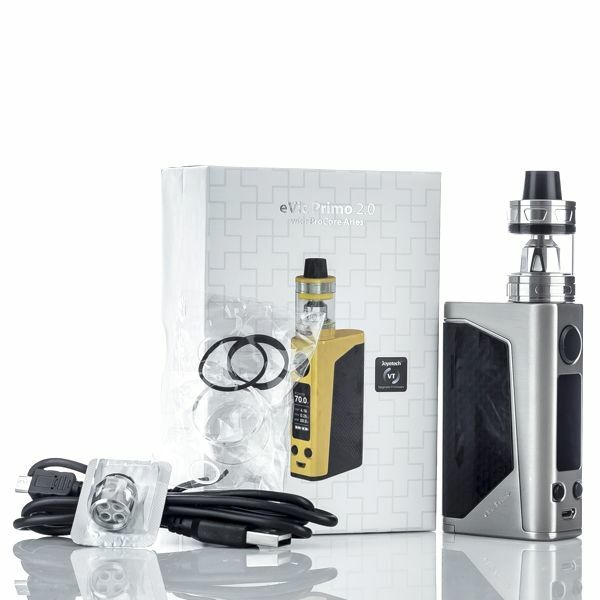 The Joyetech eVic Primo 2.0 228W TC Starter Kit is an advanced starter kit for liquids from one of the most well known names in the business that includes both the eVic Primo 2.0 228W TC Mod and the newly released ProCore Aries Atomizer. Joyetech's eVic Primo 2.0 228W TC Mod is a cutting-edge device that comes equipped with several output modes including your standard variable wattage and temperature control/bypass output modes for advanced users. This device features a precise output range of 1-228W with a temperature control range of 200-600°F. In variable wattage output the eVic Primo 2.0 will support kanthal or SS atomizers rated within the range of 0.1-3.5O and in temperature control/TCR output this device can accommodate temperature sensing elements (SS, Ti, Ni200) rated anywhere from 0.05-1.5O. The eVic Primo 2.0 from Joyetech is powered by two high amp 18650 cells (sold separately) that are conveniently accessed using the hinged battery door cover. 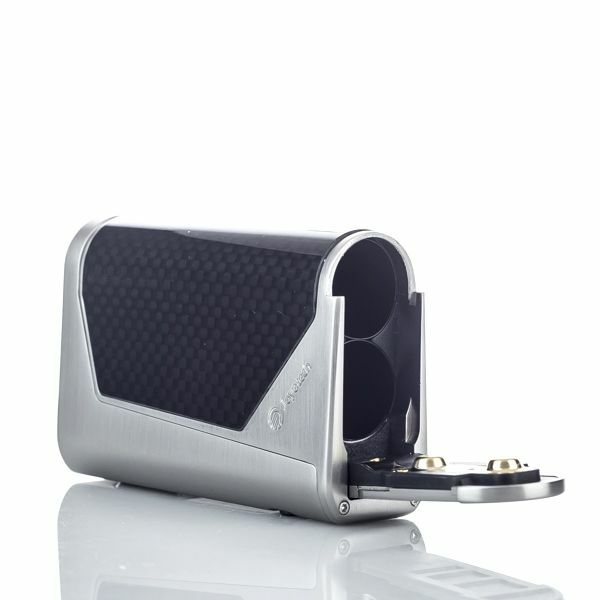 This device is also supports the cutting-edge 2.0A quick charge function that allows you to achieve a full charge faster than ever before. Joyetech's eVic Primo 2.0 Mod also features a large 0.96" detail orientated OLED display, an innovative reverse charging function allows the device to act as a USB accepting power bank and an upgradeable firmware allows you to keep this device constantly up to date with all of Joyetech's newest features and specs. The ProCore Aries Sub Ohm Tank is a large 25mm atomizer that comes equipped with two of the ProC atomizers designed for direct to lung vaping. This innovative sub ohm tank is the first of it's kind to come with a locking flip open top lid that makes refilling a breeze and ensures the tank will not easily open during unwanted times to prevent leaking. This tank also features a high quality stainless steel construction with Pyrex glass tube section that can hold up to 4mL of liquid at a time. An innovative top fill system with dual fill ports allows you to quickly achieve that max fill capacity with little to no possibility of leakage. 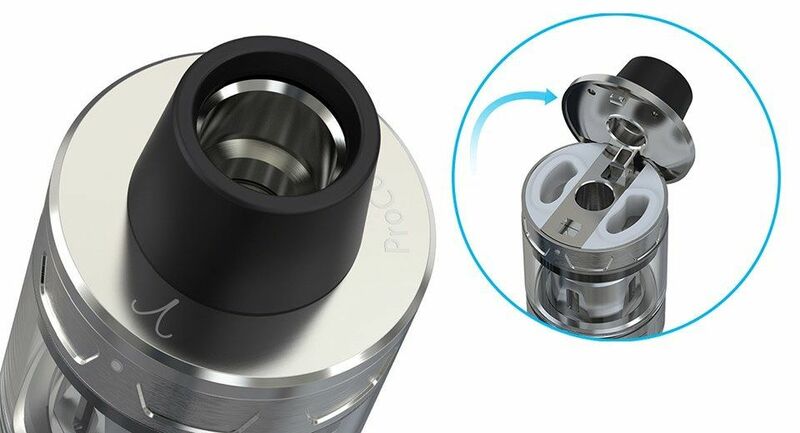 Finally, the ProCore Aries Sub Ohm Tank is capable of breaking down into 5 separate parts to make cleanings as simple as possible, this allows to you to keep your tank crystal clean to maintain a delicious quality of flavor. 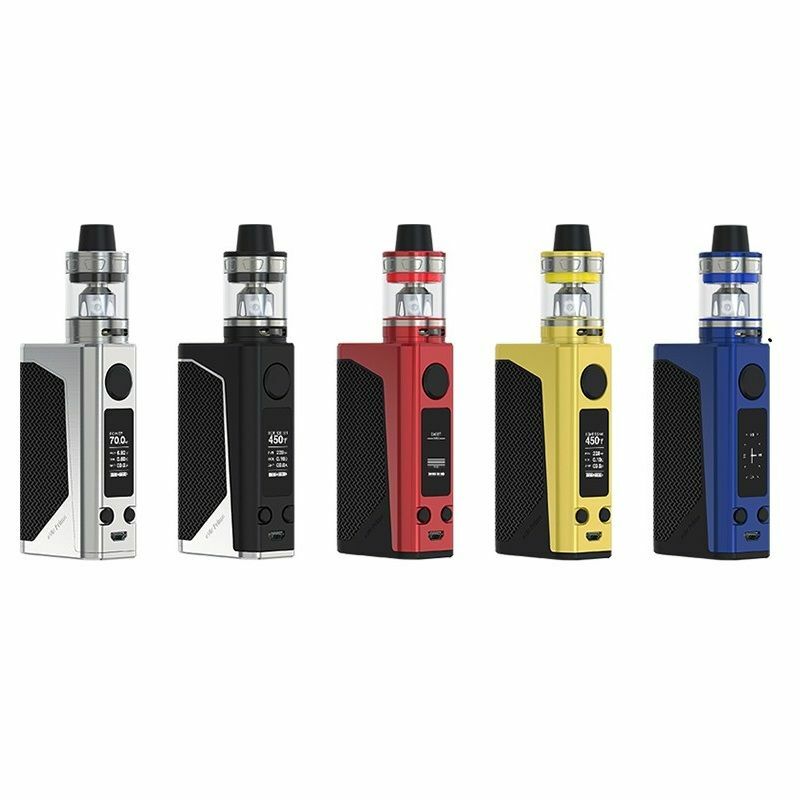 Please note the Joyetech eVic Primo 2.0 228W TC Starter Kit requires two high amperage 18650 cells that do not come included with the kit. 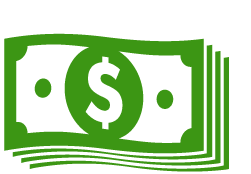 If you need to purchase these items you can include them with your order by selecting the Add 2 x 18650 Batteries option above. If you have any questions about these products please contact our customer service line during normal business hours for assistance.